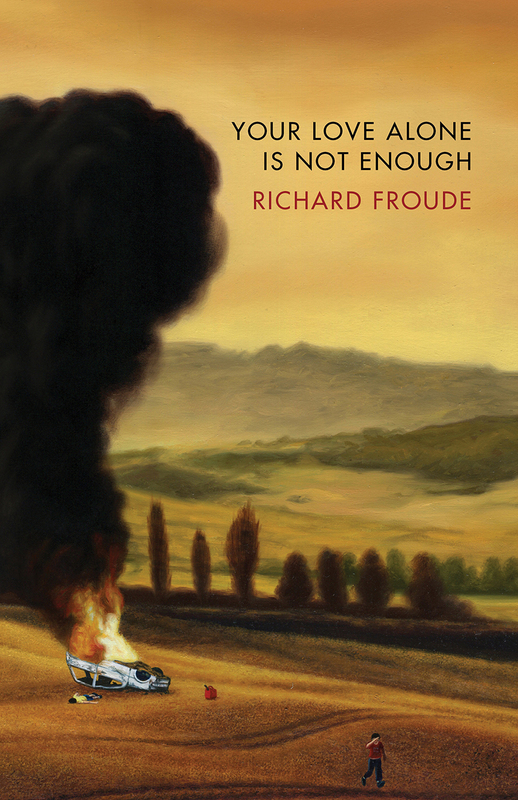 From American poet Richard Froude comes the debut novel, Your Love Alone Is Not Enough (Boulder CO: Subito Press, 2018), a lyric blend of narrative storytelling and poetic sentences. Given his first two books—Fabric (Denver CO: Horse Less Press, 2011) [see my review of such here] and The Passenger (Cheltenham, Glos UK: Skylight Press, 2012) [see my review of such here]—were poetry titles that explored the prose poem, the larger structure and the lyric sentence, a continuation further into prose to produce a novel isn’t, in certain ways, an unexpected move. With an opening sequence that feels almost Brautiganesque in style and tone, Froude provides the overall structure of the novel, and the novel’s sections, in the most curious kind of abstract, before moving into first section, and more tangible scenes. There is nothing atypical that I want, only the capacity for movement. It’s as easy as rabies, my friend, as natural as believing in an all-knowing, invisible God. The definition of mass is an object’s resistance to acceleration. What I want is painless, a methodical loss of this hindrance. To be carried by a tide: a ghost ship, an object set adrift on a surface already moving. I admit that I want to dissolve into the world. But more than that, I want the world within me. fwd: VerseFest 2019 (Ottawa) seeking volunteers! Julie McIsaac, We Like Feelings. We Are Serious.